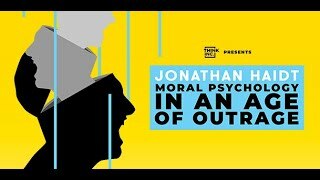 As a professor of Ethical Leadership at NYU and one of the world’s leading experts on moral psychology, Jonathan has taken aim at religion, politics and parenting, in an attempt to uncover what has caused people to be living in this undeniable age of outrage. After recently engaging in some enlightening conversations across the podcast circuit with the likes of Sam Harris, Joe Rogan, Ezra Klein and Jordan Peterson, it’s clear Jonathan has some perspectives worth hearing. His research focuses on moral values and how they influence their political choices, how they achieve happiness and how they view the world. Off the back of his New York Times Bestseller; The Coddling of the American Mind: How Good Intentions and Bad Ideas Are Setting Up a Generation for Failure, Jonathan is coming down under for the very first time to present his take on the current state of their divided world. This event will consist of a 30-minute lecture by Jonathan Haidt, followed by a 40-minute conversation between Jonathan and the event host.